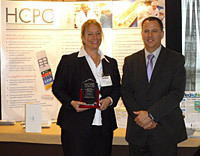 The judges of the HCPC Compliance Package of the Year were quite delighted with this new multi-medication packaging form. One judge commented, that Avive dosing system “truly brings us to a personalized medication approach.” Another judge commented that the dosing system “.. seems to be tailormade for elderly patients, who often have multiple drugs to take, while assisting them in maintaining compliance.” There is no wonder the judges recognized this because Avive was developed with input from patients and pharmacists, resulting in a patient-customized solution that simplifies daily dosing for patients on multiple medications. The ready-to-dispense, script-filling pharmacy service is designed to increase medication adherence, provide convenience for patients and allow more time for pharmacist-customer counseling. The development of Avive is an output of MWV’s long-standing commitment to further awareness of the challenges of medication non-adherence, to understand the underlying causes and to provide solutions to help patients effectively follow their regimens. Developed jointly with LTCPCMS, Inc., MWV’s pharmacy innovation partner, the Avive system synchronizes patients’ medications, so all prescriptions are picked up on the same day each month from a single pharmacy. The system also creates a customized regimen specifically for each person, which consolidates dosing times consistent with Universal Medication Schedules and aligns with patients’ current daily habits for ease of integration. Medication dispensing is completed in a central-fill location through a combination of pharmacist oversight and a highly accurate robotic system. It arrives at the local pharmacy ready to dispense, following a final inspection from the pharmacist. Each Avive package features a month’s supply of pre-filled medication packets, labeled with medication names and dosing instructions for the medications inside. 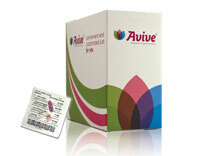 The Avive system also includes patient education information with the container. Using this system helps the patient incorporate their medication routines into their daily lifestyle, providing convenience and helping reduce medication errors. The Med-ic 21 Dose Multi-Med Pharmacy Seal Pack was initially developed for a study to monitor Hepatitis C. The package provides large blisters for multiple dosages, is easily filled at the Pharmacy level and can be heat or cold sealed, depending upon the pharmacy requirements. What makes this package unique is the Med-ic technology which includes an electronic content monitor (ECM) and grid that are hidden inside the cardboard. Med-ic records the time when the patient breaks through the package triggering an event the Med-ic grid traces. The event (time it was broken and pills removed) are stored on the ECM Tag. Then the empty package can then be returned to the Pharmacy for reading, or the ECM can be read using a smart device, such as an Android phone, calling into the Med-ic application, a NFC (near field communication) can be used to read the package or, finally, an RFID Reader can be used. 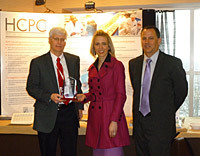 Compliance Package of the Year Second Runner Up: Eli Lilly Strattera® Physician Sample (Dosepak®) Submitted by AndersonBrecon Inc.
Eli Lilly Strattera is approved for the treatment of attention-deficit/hyperactivity disorder (ADHD) in children aged 6 and older, teens, and adults. 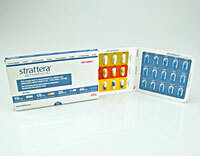 Packaged by AndersonBrecon for Eli Lilly, the Strattera Physician Sample utilizes the MWV DosepakTM design in titrating patients through their drug regimen, progressing them to the target dose. The package graphics feature distinguished color coding for the calendarized dosing format, identifying the starting dose of 18mg and continuing for the first five days of therapy, progressing to 25mg for the following five days, 40mg for the next five, and 60mg for the remaining 15 days of the 30 day therapy contained in the pack. Other versions of the titration dosing utilize a 10 / 18 / 25 / 40mg format or 25 / 40 / 60 / 80mg depending on the weight of the patient. Each strength combination is distinguished by a unique color configuration and identifies the recommended weight guidelines for the therapy. In further supporting patient compliance, the Strattera design identifies dosing instructions including tips to avoid side effects and identifying optimal daily timing for doses. The pack also directs patients to a supporting website to seek further information and prescription savings. 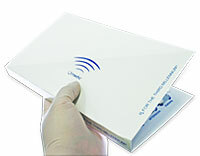 A medication guide is included for the patient in the cover panel of the Dosepak sleeve. 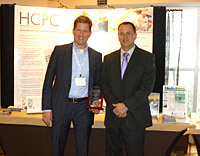 The Compliance Package of the Year winner, the First Runner-up and the Innovative Design winner will be asked to designate HCPC donated scholarship funds to a university-level packaging school focused on the pharmaceutical industry. Each winning entry will also will receive publicity within HCPC’s enewsletter, RxAdherence News, and potential coverage by the trade press. All qualifying entries will be displayed by the HCPC during trade events in which it participates over the next twelve months. Complete competition guidelines are available on the Internet by visiting www.hcpconline.org or by contacting the HCPC offices at 804-338-5778.